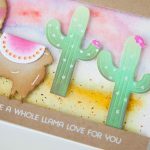 It’s Stacey and I’m here to welcome you to Day 1 of Spellbinders CHA Round Up and Giveaway! I am excited to be participating in this year’s sneak peek hop. Each year, I’m usually introducing you to a new collection by a new designer. This year I’m happy to announce…I’m the new designer! I’ve been holding this in for a while now and I’m glad to get it out. The first collection from Stacey Caron Design® is launching in January 2016 at the largest craft event of the year, the Craft & Hobby Mega Show. To showcase the beauty of my newest collection, Art Deco™, I made a birthday invitation. This project features S4-591 Arched Diamond, S6-059 Astoria Decorative Accents and S5-250 Astoria Labels. To win the new dies featured in this project, enter to win: CONTEST CLOSED. By entering the giveaway you are agreeing to the official contest rules found here. Entries close in 48 hours. 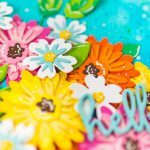 For more chances to win, visit my friend, Becca Feeken’s blog for another Spellbinders’ project! Questions about how the hop works or contest entry link not working? 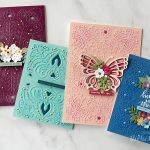 Email ContestQuestions@spellbinders.us. No entries will be accepted at this email address. What do you think of the new collection? I want to hear from you. Leave a comment.